Occupational Therapists from Kids First Children’s Services in Sydney’s northern beaches explain how OT helps children with ADHD. In order to explain how Occupational Therapy helps children with ADHD, we need to define two things – Occupational Therapy and ADHD. ADHD/ADD is diagnosed when there is a combination of 6 symptoms from two main groups. According to American Psychiatric Association (2013), these groups relate to “Inattentive” symptoms and “Hyperactive-Impulsive” symptoms. So what is Occupational Therapy (OT)? The primary goal of Occupational Therapy is to enable people to participate in the activities of everyday life (Wfotorg, 2015). 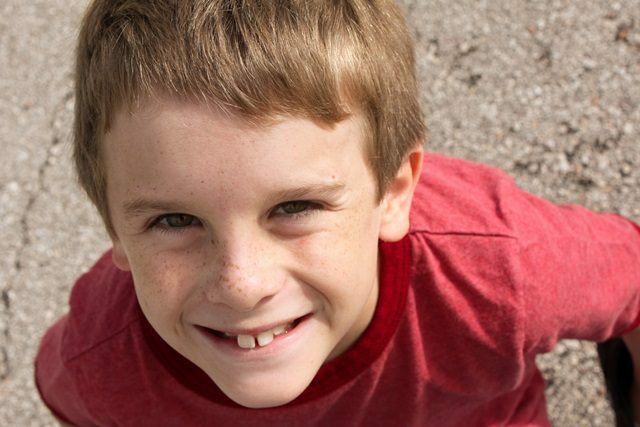 For kids with ADHD, OT does this in 2 main ways: Remedial and Adaptive strategies. Remedial strategies aim to restore an impaired capacity. Adaptive strategies re-establish routines and habits, or teach skills or strategies to cope with difficulties (Radomski & Trombly Latham, 2013). For children with ADHD, occupational therapy might involve remedial strategies that aim to improve a child’s concentration. An occupational therapist may also work with a child with ADHD to rule out other possible contributors to their symptoms. This is not just our ability to do sit-ups. Here we are looking at how kids use their stabiliser muscles. These muscles help them to sit still, breathe effectively and stay in one place for an extended period of time. These muscles also have a huge impact on our gradation of force, for example, how we know how hard we need to push to open and close a door, how roughly we can play with our friends or how hard we need to push on a pencil. This skill impacts on how much the sounds, visual aspects and smells in the environment impact your child’s ability to concentrate. But it is so much more than that, as it also affects your little one’s ability to regulate his/her body to keep it calm and alert. This is essential to ensure they are not drifting off into “dream world” or getting too excited to function in a classroom. Sensory processing also influences how much movement your child needs through the day to get to a “just-right” level to be able to focus. It even makes a difference to how your child sequences and organises their day and how they use their eyes to focus on one place without getting distracted. One of the most difficult things for children with ADHD/ADD is to remain organised. Difficulties in this area can be disheartening and incredibly frustrating for children and parents alike. It also often has significant negative influences on self-esteem. Your OT can help you to find organising tools that may help your child to reach their potential. Kids and adults with ADD/ADHD often find it difficult to know where to start, which steps to take next and how to problem solve a task to the point of completion. OTs can help children to practice this skill to improve their ability to implement it in other environments. I hope this helped to give you an idea of some of the things we may do to help a child with ADHD/ADD. Like all occupational therapists, the OT team here at Kids First likes to see the children in our care as individuals with unique needs. Because of this philosophy, regardless of a particular diagnosis (or lack thereof! ), our primary aim is always to help your child to enjoy participating in everyday life! Concerned about your child with ADHD? Kids First’s experienced team of occupational therapists has successfully supported hundreds of northern beaches children with ADHD and we can help your child too. American psychiatric association. (2013). Diagnostic and Statistical Manual of Mental Disorders, 5th Edition: DSM-5. (5 ed.). United States: American Psychiatric Publishing. Radomski, M.V & Trombly latham, C. (2013). Occupational Therapy for Physical Dysfunction . (7 ed.). United States: Lippincott Williams & Wilkins.